~~Today the girls and I went to have lunch with Dustin. He works in a town about 40 minutes away. 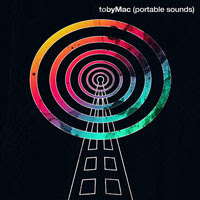 On the way there we listened to Toby Mac's Portable Sounds album (for about the 100th time.) Yeah, I think we have a little hip-hop in us. Anyone out there Toby Mac fans? His mercy is revealed, yeah. ~~Wow! That rings in my mind. Especially the part where he says "it comes down to the moment, when faith eclipses fear." Fear can be a real thing for me in my art. I have this big mountain made up of fears of what people think, fears of failure, fears of many things. I know that some people don't see art as a spiritual thing, but for me it is. And if I can just get to that place where I step out in faith and do my work for God alone, maybe I can "break through" like it says in the song. Does anyone else struggle with this issue? I think we all struggle with fear of failure. This is particularly true of things that we have worked hard on (like gaining some art skills), we enjoy doing, and are somewhat invested in. I struggle with this as well. I don't know you very well, but I think you might need to consider why you are doing your artwork. What do you really want to achieve? Ask yourself those sort of 1/5/10 year questions...what do you want to achieve by then, specifically? Are you doing this as an outlet during the rough mommy years? Do you want to make a business of this? Are these learning years for you and then later there will be a business? Is there something particular you want to be able to do? Do you just enjoy doing it and just want to keep it as a pleasurable thing? etc. (The point being that once you really know what you are after, when you achieve it you can be happy, regardless of the reaction of others.) You say that you want to do this for God alone, well, what does that mean? Do you want to convey Christian truths in your work? 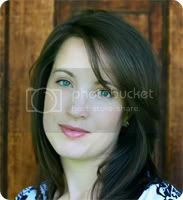 Do you just want to have a Christian testimony in the art world? Do you want to glorify Him by showing the joy of family life in a Christian context? etc. I believe we are here to bring God glory in all things we do, but just how we do that looks a little different with each person. Anyway, sorry if that's more than you wanted. I'm happy to talk about this more, as I'm answering some of the same questions myself. My email is rose.welty at gmail, if that interests you. Oh, dear, I've rambled here. I hope I haven't overstepped, I mean all of it in friendship and by way of encouragement. We LOVE Toby Mac over here too. He is coming to OK in November, we are psyched! You know I struggle with the same issues. Rose...you wrote some wonderful things that I need to ask of myself too. Thank you.